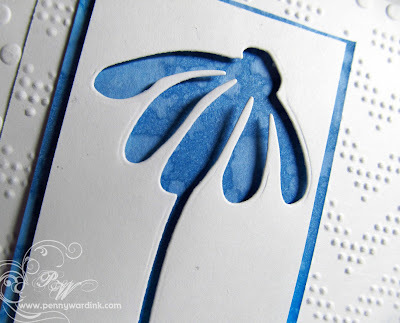 Hello friends...playing around for the Penny Black Stamp Squad today. I am so loving the look of this card using the negative of the Bashful die cut. A couple of embossing folders used for the background and the cutest sentiment from the Charms stamp set. Actually after adding the sentiment, I am thinking this would also make a beautiful Sympathy card...next time. The small amount of blue was achieved with Faded Jeans and Salty Ocean distress inks. I have entered this card at OWH for their Sketch #184 challenge. Very pretty and I love that you could use this card for so many reasons. Love the colors! 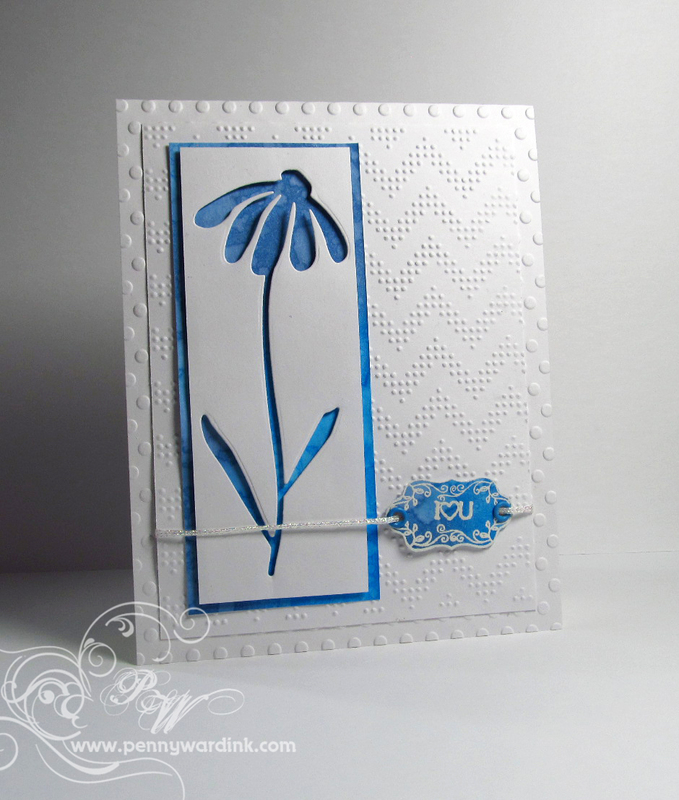 Beautiful card!Love the embossing,Awesome color!!! What a pretty card! Love the white-on-white embossing. Great job on the OWH sketch Penny. I like the two embossed textures together and using a reverse die-cut is one of those things I somehow never think to do. Love it! I have to get that die as I have the complimentary stamp & I love how you used it, Penny! I've never used 2 embossed backgrounds together--thanks for the inspiration!